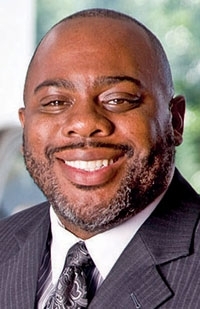 DETROIT -- Tony Brown, Ford Motor Co.'s purchasing chief, is splitting duties of his top two lieutenants to provide "a single point of contact" for suppliers. 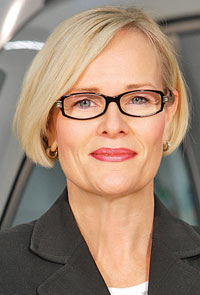 Birgit Behrendt has been appointed executive director of Ford's global programs and Americas purchasing. Burt Jordan has been named executive director of global vehicle and powertrain purchasing. Both report directly to Brown; their assignments took effect July 1. Brown, 54, said the reorganization will simplify his purchasing operation, which should be a plus for suppliers. "It will be easier for suppliers to communicate with us because it will be clearer who is responsible for what," Brown told Automotive News. Suppliers, he said, "will have a single point of contact." The reorganization precedes the Oct. 1 retirement of Paul Stokes, 62, who had headed vehicle components and Americas purchasing. Stokes is highly regarded among suppliers for his efforts to upgrade Ford's purchasing. Behrendt, 50, will work with Ford's product development teams to ensure they are meeting their program targets. She also will coordinate suppliers that are working with Ford's product developers on future powertrains and future vehicles. Previously, those two tasks had been split. For any vehicle under development, Behrendt will help Ford develop a preliminary sourcing strategy, identify tooling requirements and work with suppliers during pre-production and vehicle launch. In short, Behrendt is the purchasing operation's future product czar. Jordan, 43, will handle today's purchases, overseeing Ford's annual $50 billion budget for production components. He is responsible for buying powertrain and vehicle components. Previously, those two responsibilities had been split. Behrendt was Ford of Europe's vice president of purchasing and executive director of global programs. In 2008, Automotive News Europe named her "Woman of the Year." She will move to Detroit in her new position. Jordan joined Ford affiliate Mazda Motor Corp. in 2001 and later moved to Ford. Before taking his new job, he was Ford's executive director of global powertrain purchasing. Jordan also ran Ford's supplier diversity development program, which earned him honors last month as an Automotive News All-Star. In his new job, he will continue to oversee Ford's supplier diversity program. He also will continue to monitor the financial health of Ford's suppliers. General Motors Co. also recently reorganized purchasing so that overlapping duties will improve its ties to suppliers. In June, GM purchasing chief Bob Socia said that two key purchasing executives -- Randy Pappal and Kim Brycz -- would be paired with two top GM engineers in the company's version of the buddy system. Pappal is in charge of exteriors; interiors; safety systems; heating, ventilation and air conditioning; and Mexican operations. He is working with John Calabrese, a senior engineer. Brycz is in charge of electrical systems, and she has been paired with Micky Bly, another top engineer. Socia says his goal is to allow GM purchasing and suppliers to get more deeply involved in product development.